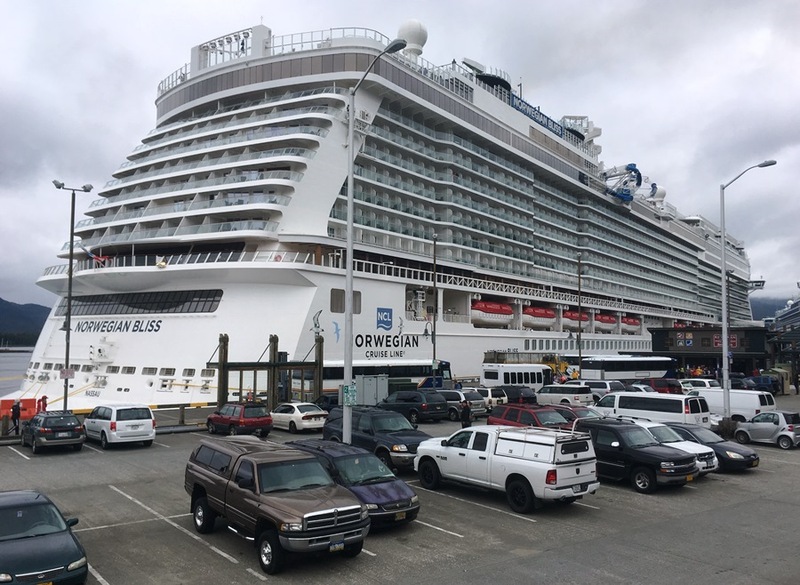 A federal judge’s ruling on how Alaska communities can spend cruise passenger fees was a big topic of discussion during Thursday’s Ketchikan City Council meeting. The cruise industry in 2016 sued over the City and Borough of Juneau’s use of its $8 per passenger head tax. As reported by CoastAlaska, the judge in that case ruled that the head tax is OK, but money collected needs to be spent on things that are connected to a vessel, like a gangplank. A sidewalk next to that gangplank, though, cannot be built or maintained with cruise fees. The ruling extends to how the state’s cruise head tax can be used, as well as head taxes in other communities like Ketchikan. City Manager Karl Amylon told the council on Thursday that the city will need to have a work session sometime soon to talk about the implications of the ruling. The city is working on plans to expand the downtown cruise ship docks to accommodate larger ships bringing more passengers. Part of that plan was uplands improvements, but that work was to be funded through cruise fees. Council members said they were disappointed with the ruling. Dave Kiffer said there are many infrastructure items that are needed only because of the cruise passengers. The CLs are cruise lines, such as Norwegian Cruise Lines. Council Member Julie Isom said based on that ruling, the city should take a serious look at capping the number of tourists allowed to visit. Other council members hoped that city officials could sit down and talk with cruise industry representatives, to come up with a compromise. Also Thursday, the council agreed to move forward with surplussing the city-owned fire hall on Main Street. The building is vacant and used for storage. There has been some interest from a local business in developing a distillery in the 1943-era station. Other interested parties have also stepped forward. The council likely will have a work session in January to talk about the terms of surplussing the property. In other matters, the council voted 5-2 in favor of a contract of up to $200,000 with ECG Management Consultants to work on a new lease agreement for the city-owned hospital building. The current lease with PeaceHealth expires in 2023. There was some concern when the council was told that ECG just started working with PeaceHealth on another matter, and works with Southeast Regional Health Consortium. PeaceHealth manages health care facilities throughout the Pacific Northwest. SEARHC runs numerous facilities in Southeast Alaska. Isom said the contract is a lot of money, and she’s concerned about a conflict of interest. “Based on the information that we received at the last minute tonight that they’re in contract with SEARHC and PeaceHealth leaves me skeptical enough to not want to vote yes right away and to look into our options,” she said. Kiffer also voted against the contract. Other council members said they felt the firm was open about its work with area health-care providers, and would work well for the city. Although it was on the agenda, the council did not take action on the 2019 city budget. That item was deferred to Monday, when the council has a special budget meeting scheduled for 7 p.m.